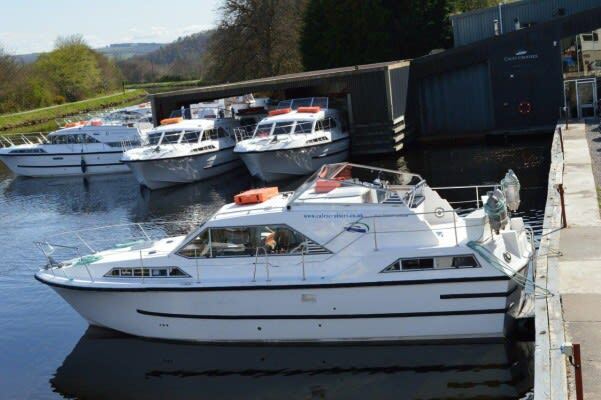 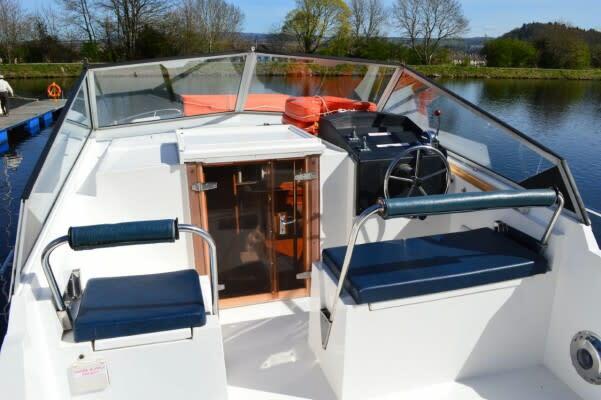 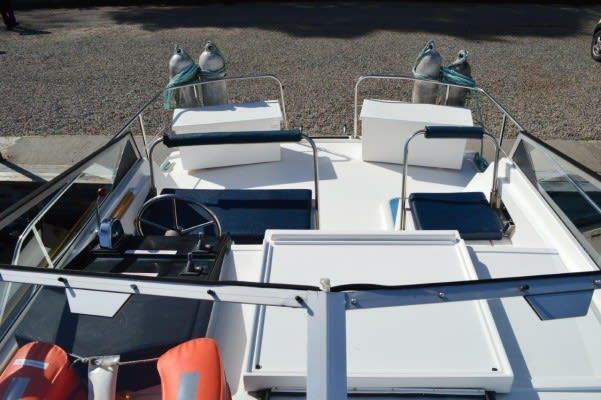 Highland Glen is a great family cruiser, well equipped and ideal for a party or family of 4. 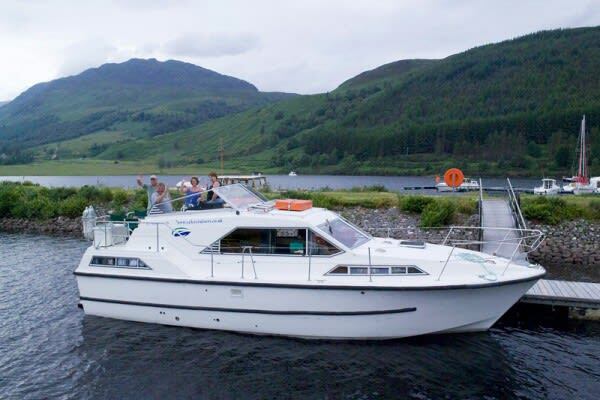 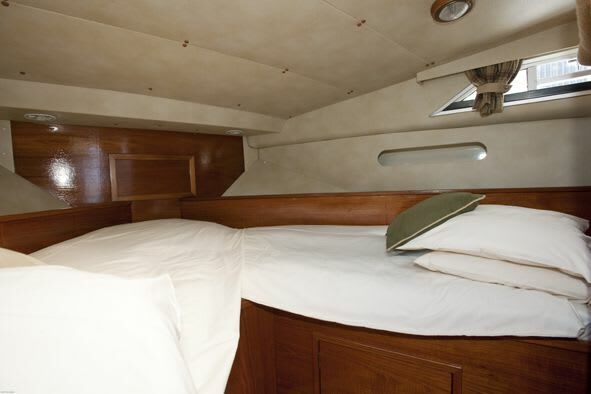 She has a beautifully fitted out with a double cabin aft with en-suite toilet and power shower. 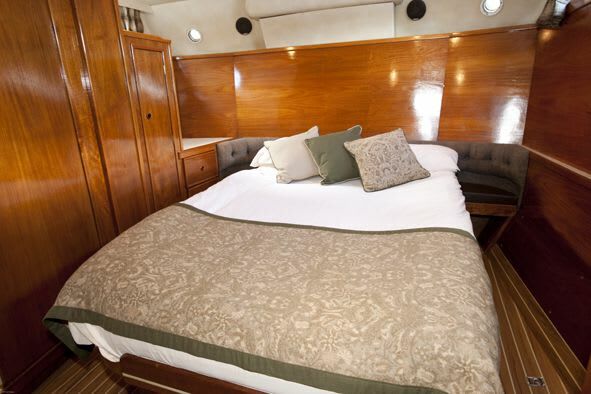 The forward cabin has 2 single berths and an additional toilet and power shower. 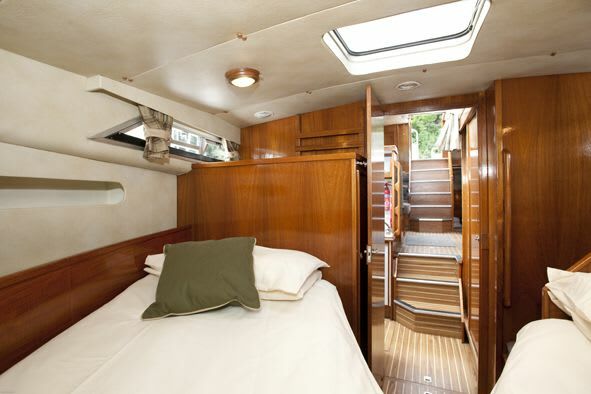 Both cabins have plenty of wardrobe space and storage. 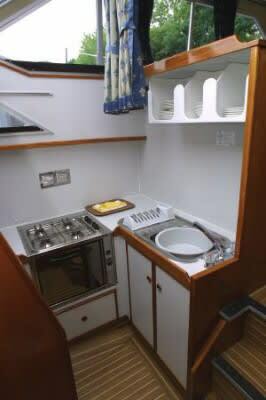 She also features a microwave, hairdryer, toaster, dual steering and electrical hook-up. 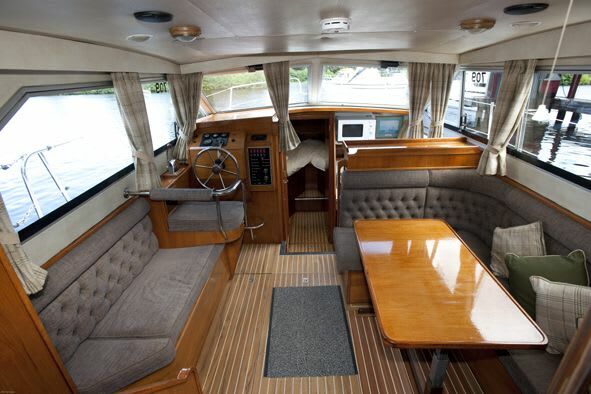 She has seating available outside.